'The Joy of Stats' won the prestigious Grierson Award for Best Science/Natural History programme of 2011. Now the same combination of wit and wisdom, augmented-reality graphics and gleeful nerdery is brought to bear on the joys of chance and the mysteries of probability, the vital branch of mathematics that can give us a handle on what might happen in the future. 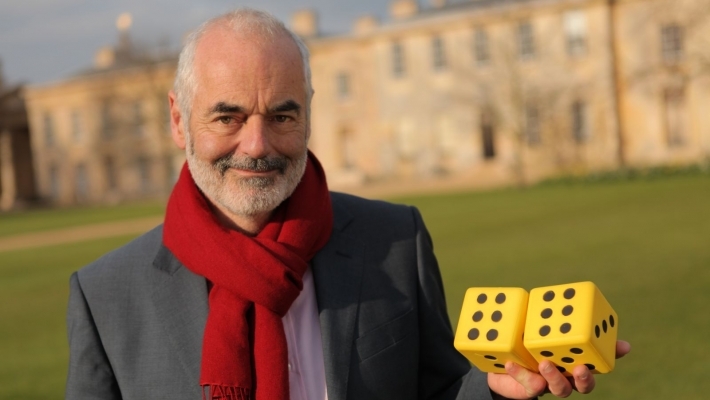 In 'Tails You Win – The Science of Chance', Professor David Spiegelhalter, Winton Professor for the Public Understanding of Risk at Cambridge University (as well as being a recent 'Winter Wipeout' contestant), tries to pin down what chance is and how it works in the real world. For once this really is 'risky' television. How can you maximise your chances of living till you're 100? Why do many of us experience so many spooky coincidences? Should I take an umbrella? These are just some of the everyday questions the film tackles as it moves between Cambridge, Las Vegas, San Francisco and, er, Reading. Yet the film isn't shy of some rather loftier and more fundamental questions. After all, our lives are pulled about and pushed around by the mysterious workings of Chance, Fate, Luck, call it what you will… But what, the film asks, actually is Chance? Is it something fundamental to the fabric of the universe? Or rather, as the French 18th century scientist Pierre Laplace put it, 'merely a measure of our ignorance'. 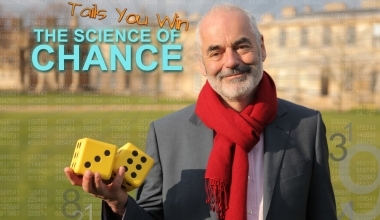 Ultimately, 'Tails You Win - The Science of Chance' tells the story of how we discovered how chance works, and even to work out the odds for the future; how we tried – but so often failed – to conquer it; and how we may finally be learning to love it, increasingly setting uncertainty itself to work to help crack some of science's more intractable problems. Other contributors include former England cricketer Ed Smith, whose career was cut down in its prime through a freak, unlucky accident; Las Vegas gambling legend Mike Shackleford, the self-styled 'Wizard of Odds'; and Chief Economist of the Bank of England Spencer Dale.